With a semifinal place at the 2008 SAFF Suzuki Cup to boot, Bhutan will arrive in Bangladesh with the confidence that its fortunes may have finally turned. Victories over Bangladesh (in the 2019 AFC Asian Cup qualifying playoffs) and Sri Lanka (in the 2018 FIFA World Cup qualifiers) in recent years have meant that Bhutanese football can finally harbour optimism. 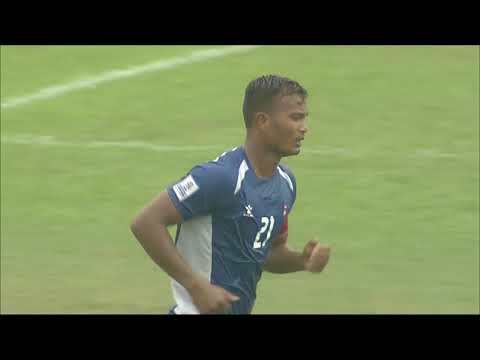 When the SAFF Suzuki Cup was jointly hosted by Sri Lanka and the Maldives in 2008, Bhutan surprised observers by holding Bangladesh to a draw and recording a shock win over Afghanistan. They progressed into the semis then, where India overcame the plucky Bhutanese only in extra time. The 2008 SAFF Suzuki Cup remains the sole instance of Bhutan making its way past the group stage. The Bhutanese squad is currently coached by former East Bengal manager Trevor Morgan, who believes progression to the semi-final would define success for the Dragon Boys. The coach will be glad to have the services of Bhutan's biggest footballing star Chencho Gyeltshen, who was part of Minerva Punjab's successful I-League campaign, and recently signed for Bengaluru FC. The 22-year-old has scored 11 times in 32 international appearances and remains key for the nation. Bhutan will be captained by midfielder Karma Shedrup Tshering while Jigme Tsheltrim is a mainstay in defence. Ngawang Jamphel, is likely to be the first-choice goalkeeper while Kencho Tobgay and Dawa Tshering provide youthful energy to the midfield.